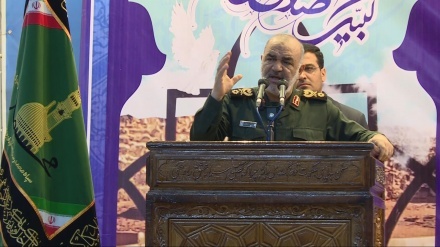 IRGC Deputy Commander said that the Islamic Republic managed to become a true model of Islamic civilization. 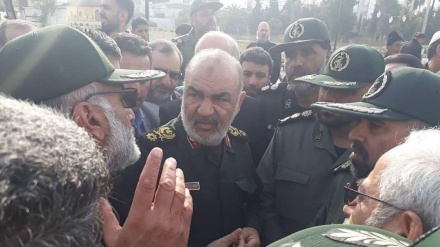 Iran Press/Iran news: Deputy Commander of Islamic Revolutionary Guard Corps (IRGC) Brigadier General Hossein Salami said despite the enemies’ attempts to destroy Iran’s Establishment over the past decades, the Islamic Republic has managed to become “a true model of Islamic civilization. 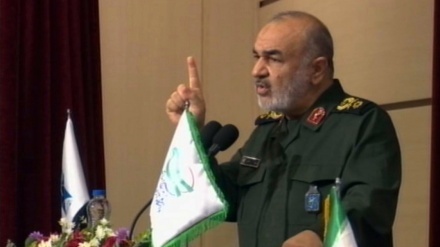 Brigadier General Salami made the remarks in a speech in Tehran on Monday, Iran Press reported. “Our 40-year-old struggle with the enemies is on this very issue that if this model succeeds, it will cross geographical boundaries,” the commander added. “In the meantime, all that you have experienced during the past forty years by the enemy plots, ranging from military invasion to sanctions and economic pressure, psychological operations and security interference, is the story of a failure in defeating the Islamic Revolution,” he stated.